The issue of mental health is huge. Figures now show than 1 in 4 people will experience a mental health problem every year - that adds up to a sizeable chunk of anyone's workforce. While recognition of the problem is increasing, many people still feel uncomfortable talking about their mental health because they fear being stigmatised, or think that their career will be negatively affected. Many employers are also unsure of their responsibilities or, even if they want to offer help and support, how to approach that conversation and put the right support in place. 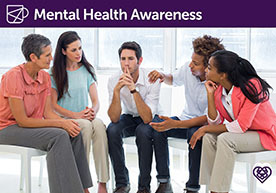 This workshop aims to raise awareness of mental health and to understand and recognise the causes, symptoms, and possible support options for a range of mental health issues. 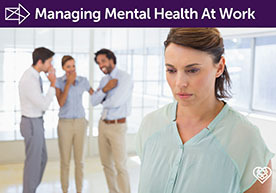 This workshop aims to help managers learn how to recognise when a staff member is struggling, how you can support them professionally, and how to approach the subject. A workshop devised especially for us by experienced chartered surveyors,which looks at achieving a healthy work life balance within the fast-paced property industry. 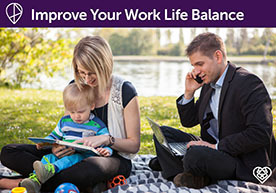 It explores tools and techniques to manage your work life balance, allowing you to be more effective, productive and engaged.